I'm switching up this Friday's Fave by talking about 10 of my current faves! Call me crazy, but I just kinda wanted to make a list. Because I love lists. But for real...I do. 2. 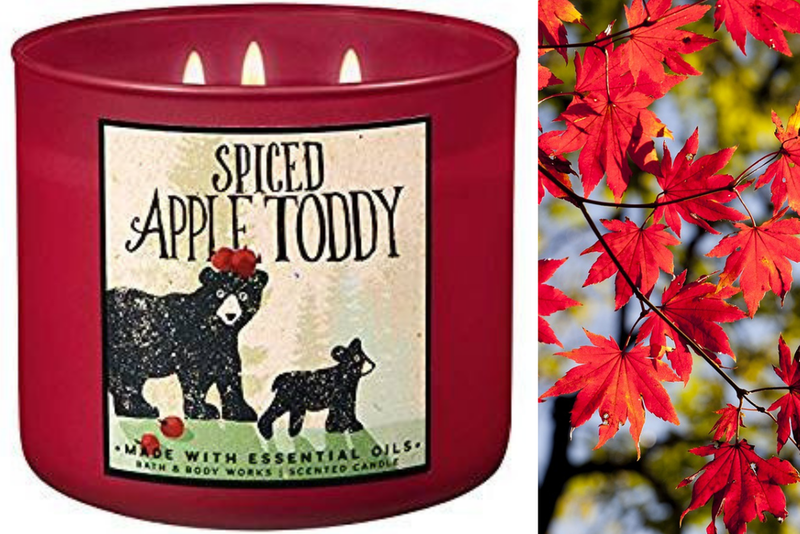 Autumn-inspired candles. Mostly from Bath & Body Works but not exclusively. I am digging anything Balsam (Christmas in a candle! ), Spiced Apply Toddy, and of course...Candy Cane. 3. The blog The Everygirl - it's been around for forever so this probably shouldn't be news to me, but they have a lot of easily digestible articles on fashion, beauty, decor etc. But what I REALLY like is all of their house articles! They list tons of good Ikea hacks and easy-to-replicate decor ideas on a moderate budget. 4. 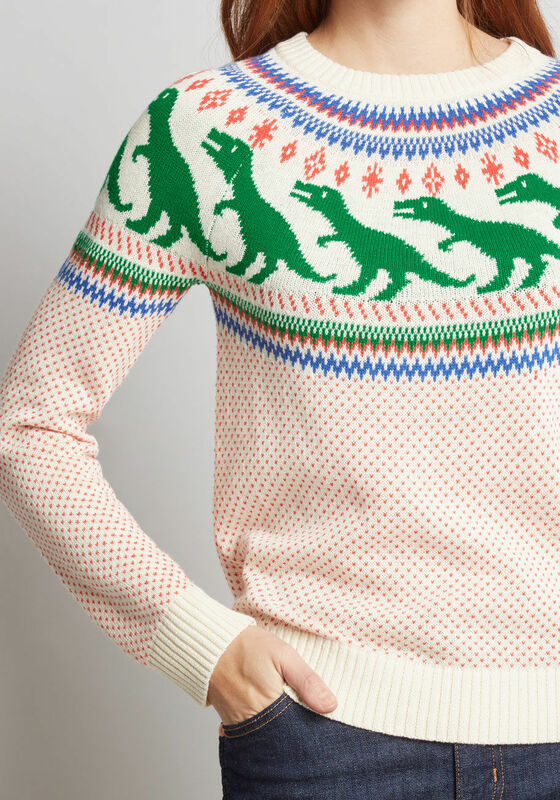 This amazing dino sweater from Modcloth. I want it so bad. I need it. I dream of it. It's going on my Christmas wish list...if I can wait that long. 5. Boxing. I'm into it. I think you should try it, male or female. It makes me feel powerful, it's a killer workout, and if you go to a good boxing gym (not too trendy, ya know?) you'll also learn something new (aka how to box). May I suggest 10th Street Boxing if you're in the area? 6. 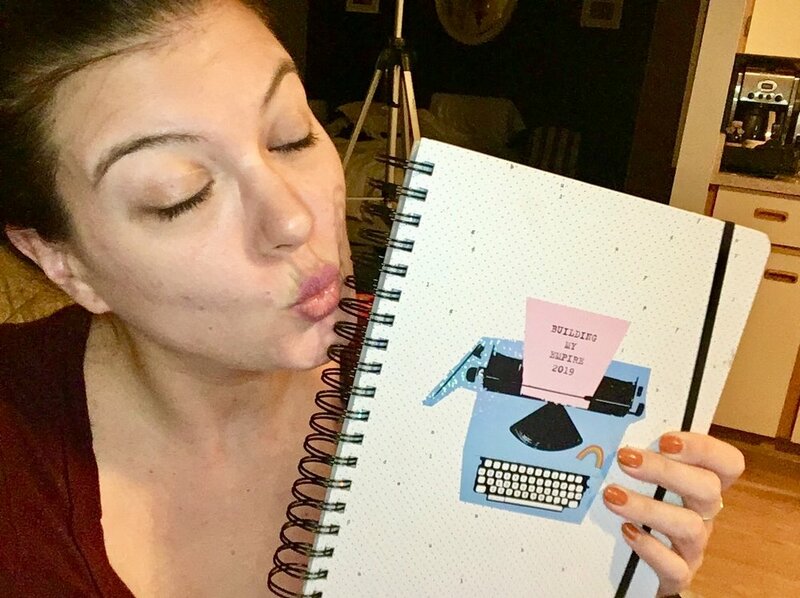 My new old-school day planner! I love it so much! I keep trying to tell everyone in my life about it but no one seems to care so bully for them, but I have a blog and I can write it here! HA! This is me, loving it ⬇️ It's called "Building My Empire" *squeal*! 7. Makeup forward Halloween looks. I just dig them. It's the only time I really play with makeup (who has the time I guess?) but it can make for such striking costumes! Keiko Lynn's are favourites but any google search would yield so many options (ps: I did the deer one year, but I put actual branches in a headband because I'm AUTHENTIC I guess 🤷‍♀️). 8. 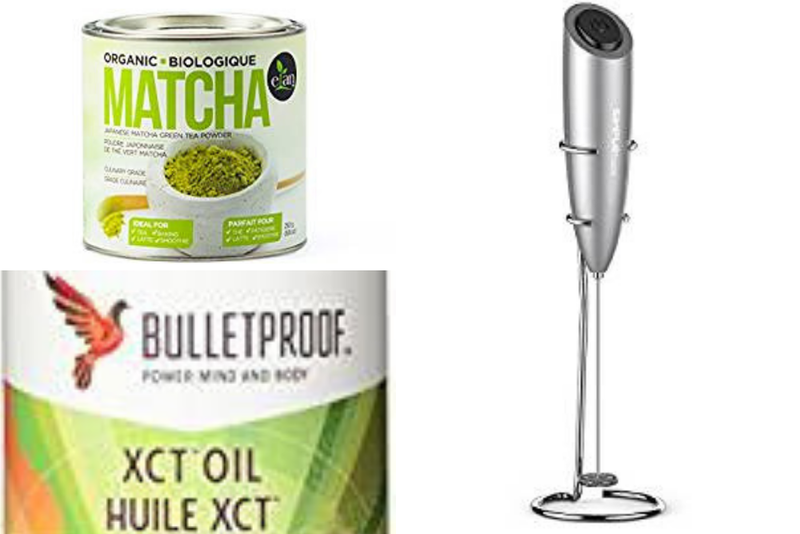 A weird bulletproof coffee and matcha latte mixing electric frother. I basically just ordered this because it was as cheap as a matcha whisk and also solved my broken bullet blender problem but...honestly it's kind of amazing. And super powerful too. It even comes with batteries! Well worth the very reasonable price tag. 10. 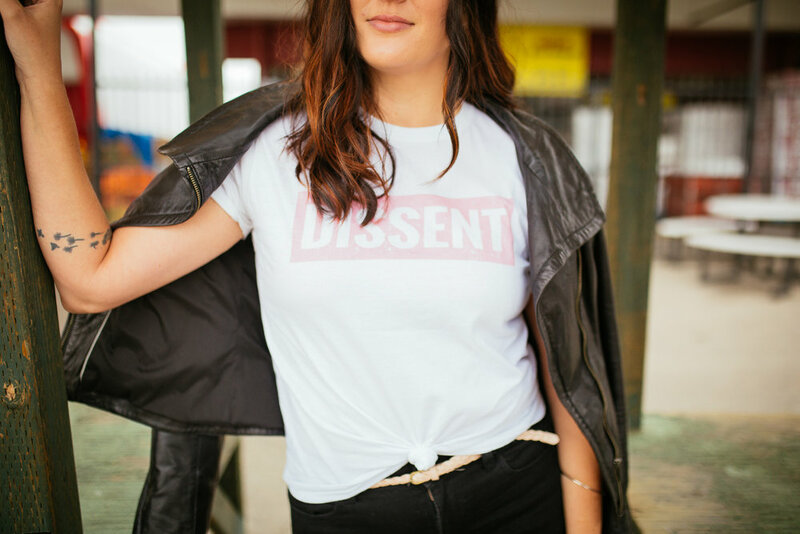 Making my own tee shirts - shameless plug! But seriously, it's a been a fun outlet and I genuinely like the outcomes. In fact, there's a new one launching next week so check back! Ok guys, thanks for indulging me because that was really fun! What are you fall faves? I'm here for more so hit me up below (links welcome!). Disclaimer: This post contains some affiliate links. This means that, if you decide to purchase something through my links, I might earn a commission at no extra cost to you.